This small but comfortable cottage was warm and cosy. Good facilities and location. All we needed plus a secure back garden for Oscar our dog. Nicely located for Black Mountain and the Gower coast. Lovely stay in brilliantly placed cottage. Paula was very helpful in local places to visit. Paula was kind in accommodating us for three nights, with short notice. She was very friendly and generous and made sure that we had all we needed, without being intrusive. We loved the cottage and its beautiful, bird-friendly garden with interesting features. It is also a good base for visiting National Botanic Garden of Wales, Gower peninsula and Brecon Beacons. A great pleasure to meet this lovely couple. Katherine and Adrian were perfect guests. 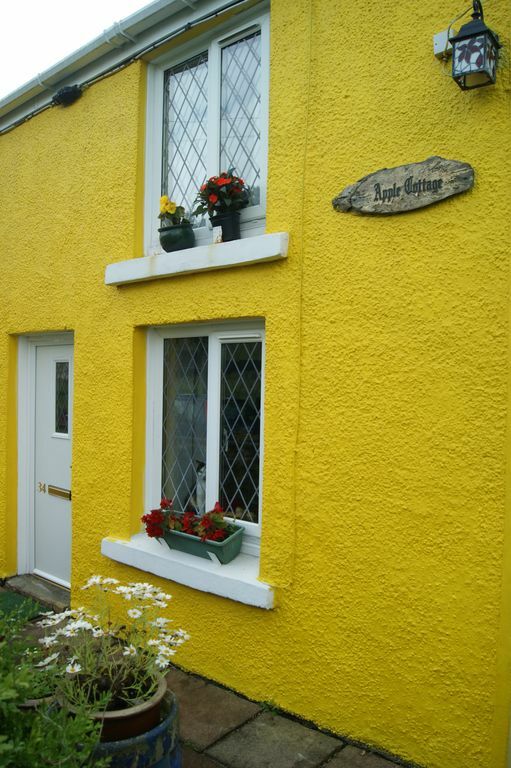 Apple cottage is situated at the foot of the Brecon Beacons national park boundary. Within a 14 mile radius you have the mountains to explore as well as the waterfall areas, forest walks and the Gower Coast as well as the city of Swansea and market town of Llandeilo. there is a minimum charge of £80 if booking one night only. Dogs are charged at £10 per visit.